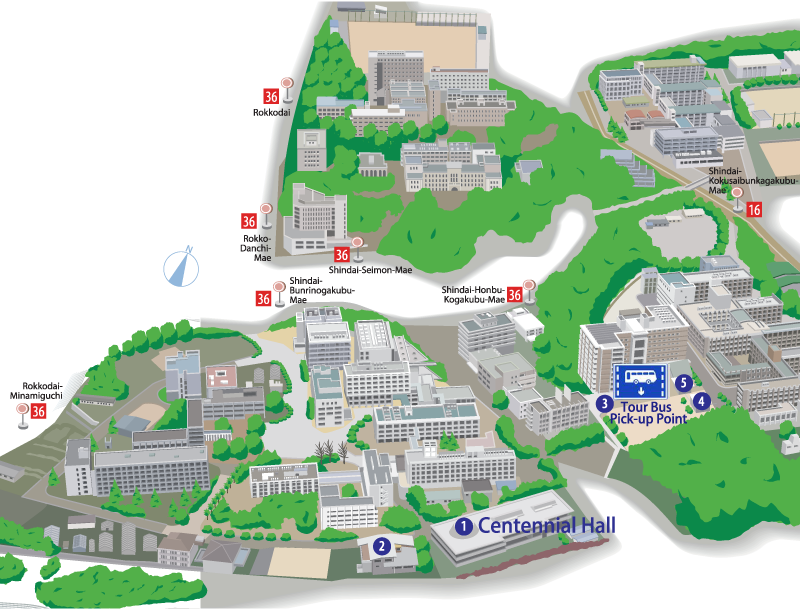 NSS6 workshop will be held at Kobe University Centennial Hall (Rokko Hall),Kobe, Japan. Kobe is known as the port town sandwiched between the Seto Island Sea to the South and the greenery of the Rokko mountain range to the North. The workshop venue, Kobe University Centennial Hall (Rokko Hall), is located by the side of the Rokko mountains. In October it is typically clear with the temperature ranging from 16℃(low) to 23℃(daytime high). For more information of Kobe, please visit the official Kobe tourism website.